During this symbiotic time of year, where external and internal changes transform substance and form, we are blessed with harvesting our efforts and seeds of the seasons before. So what did we create? How shall we receive? And with what obligations of gratitude, and generosity must we expend? Ahh the age old biblical saying, you shall reap what you sow. This of course is tangible and intangible physically. And in our highest self, our most pristine version of ourselves, what are you worthy of reaping, i.e. what have you sown? Where have you succeeded and where have you faltered in being fully present in life, in being selfless in your purpose, and bringing inspiration and hope to your psyche? Take inventory of your stock, as a time of reflection should proceed, and in turn shall hasten, your harvest. Where you have not increased your aptitude, forgive yourself. Where your limits have blocked you from achieving your goals, resolve firmly in soaring beyond them in times to come. Where your lack of love has clouded your judgements and decisions, embrace this knowingness unabashedly. And return to love yet again. For as we harvest, we also continue to sow. Our good deeds in tangible form continue to take shape spiritually. And our good deeds spiritually continue to take form tangibly. The distinction is perceptive. So as you receive your harvest, and with gratitude welcome into your life all that deservingly belongs to you, remember that in times of plenty, as in times of scarcity, one thing remains true. Our capacity for outreach, for connection and for forgiveness brings upon us a fortitude of strength beyond our individual capacity. A calling beyond our needs, resolves a calling deep within our souls. 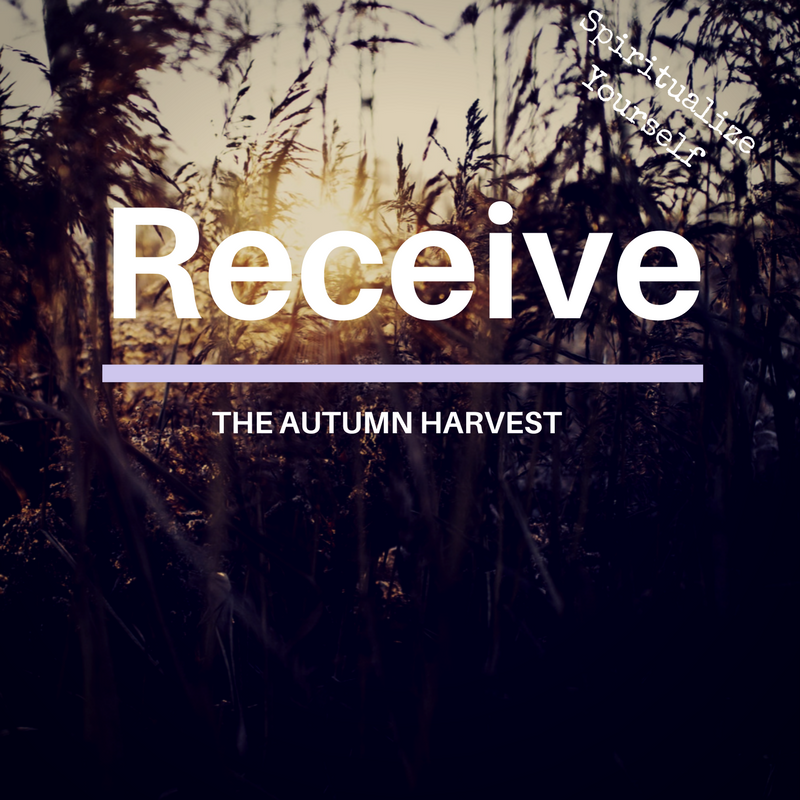 Welcome this along with your harvest, assuredly knowing, we continue to sow for times to come and the fruit of our spirit comes to life through us, by us and for us.